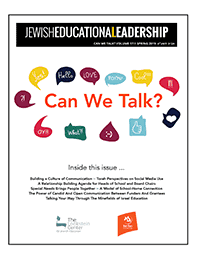 This issue of Jewish Educational Leadership, How We Teach: Text, Transmission and Tradition grapples with some of the questions that challenge us, as educators, as a result of the Jewish People’s marriage to the Book. 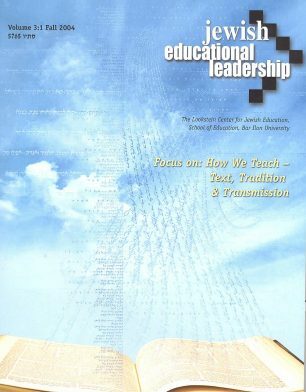 Does authority rest with the text, with the teacher, or with both? Is the role of the teacher to facilitate the transmission of the text, to interpret it for the students, or to foster independent interpretation on the part of the students? What are the appropriate educational methodologies that flow from the answers that we give to these questions? For example, should the teacher be the central figure in the classroom, or should he/she activate the students to rely on their own readings and research?